Dallas lives her life on the road. She’s just another guitar player with a dream until she finds an antique blue mandolin in a pawn shop. Her life comes into focus as the enchantment of the mandolin captivates her audiences. The Guitar God of Nashville beckons her. Everything is there for Dallas at last, until a stage accident sends her home and shatters her dreams. Blow after blow she fights the hand of fate. Is she destined to lose out in life? Hope, dreams, and love seem to be just out of reach. Every girl dreams of a happy ending. Dallas Fortune has the best Fairy Godmother in Country Music history. Will she help make Dallas’ dreams come true? Is the future among the stars, in the cards or locked in your heart? 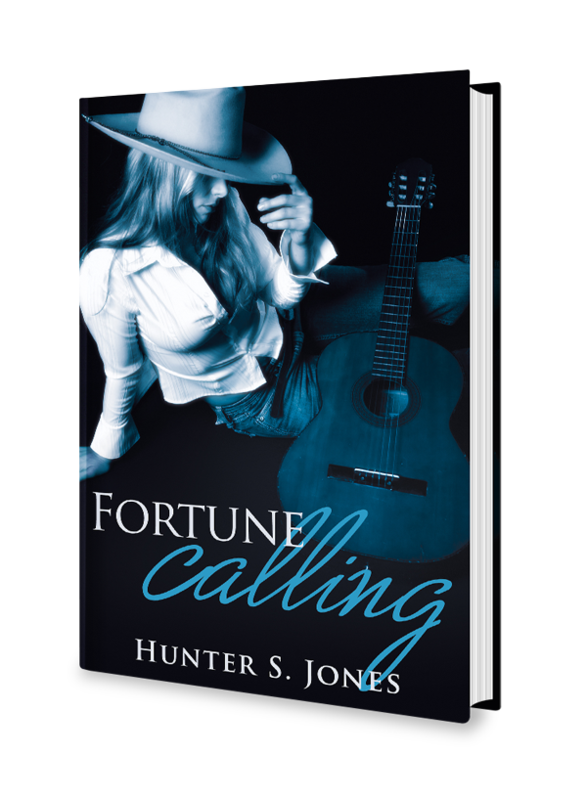 Fortune Calling is the first story in The Fortune Series. Set in contemporary Nashville and rural Tennessee, the series chronicles the live of loves of Dallas Fortune. Billie Joe wasn’t all bad. That was part of the problem. All I had to do was hear his voice, feel the velvet softness of his lips…those strong arms wrapping around me…he became mine and no one else’s. We don’t have a relationship; we have an addiction to each other. I have to find the strength to break his spell, somehow…some way. Or, stay trapped in his web for the rest of my life. The rain surrounds me in the form of a mist as I realize that I am standing in the driveway again, lost in dreams. Pulling the collar of my jacket around my neck to stop the chill, I walk to the back of the Cadillac again, just to check. We might be in the middle of nowhere in this valley but meth has made crime an epidemic. It gnaw at the fringes of our people. No one would steal the Cadillac out of respect for dad, but I’d had to threaten to shot a couple of boys trying to steal the tires and rims a few months ago. They were buzzed outta their minds. It’s a wonder they didn’t shot me, but they were just looking for something quick to steal and sell. One shot in the air and they ran like mice. They will steal an antique mandolin in a heartbeat. They ain’t getting Blue Belle. I probably would shot someone in order to save her. Knowing the trunk is securely locked, I walk toward the front door of the little house. Before entering, I wipe my boots on the mat on the porch and shake my long, blonde hair to remove the moisture. Giving up, I finally wrap my hair into a makeshift ponytail and open the door. A wave of warmth and the smell of cinnamon greet me unexpectedly. “Good afternoon, welcome. I am Ernesto Lorenze,” a friendly male voice says from the corner of the dark room. I look around to see a tall, dark haired guy pull himself upright from a chair seated behind an antique desk. Actually, his legs are so long it is as if he is unraveling himself from the desk and chair. That’s a long drink of water crosses my mind before I even have time to think. I feel a blush creep across my cheeks as I access his credentials, so to speak. He is young looking but possibly in his mid-30s. He is wearing some type of black top hat, dark shirt, and jeans. You have to wonder why he would want to cover those silky dark curls, which almost touch his shoulders. His eyes are a luscious black/brown too, with just enough spark when he smiles, which lets you know that he is fun and charming. Bet he smiles like that all the time, not just when he wants to take money from you for a card reading, but anytime. Anywhere. The dimples help with that assessment, too. The fortune teller is a gorgeous guy. How great is that? I feel excited about something for the first time in a long time. Surely THAT alone is an omen, but we shall see what we shall see. The spell is momentarily broken when he sits down on the desk in front of me, crosses his arms, and furrows his dark brows. Is something wrong? “An hour reading is 100 dollars. Half an hour only 50 dollars. What would you like today?” He looks at me and winks. Is he flirting with me? How unexpected. Why have I left the house with no make-up on? Looking him in the eyes makes me wonder…What would I like today? Hunter S. Jones creates artwork which in her own words is more interesting than anything else you will ever know or learn about me. She is an author and entertainment blogger who was born in Tennessee and now lives in Atlanta, GA.
She has been writing about the things she loves all her life. From indie rock rags in Nashville to publishing multiple articles on travel, fashion, history and art. 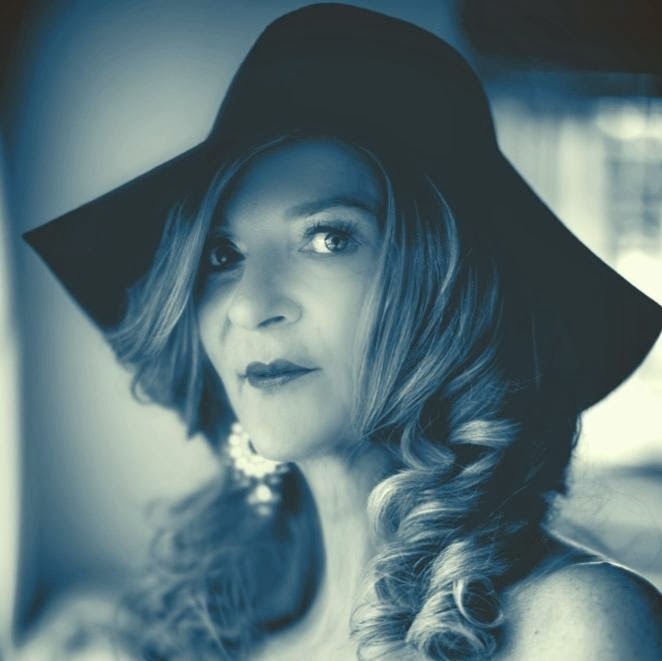 Since her debut novella in October 2012 she has published 6 more original works including her novel September Ends, a collaboration with a critically acclaimed, award winning English author and poet in the fall of 2013. Her latest, Fortune Callingis being released January 30th, 2014.